A warm welcome to DHC Reform Synagogue, a member of the Movement for Reform Judaism. We are a small, really friendly and welcoming community, with members from Darlington, County Durham, Cleveland, Middlesbrough, Stockton and the surrounding towns including North Yorkshire. We seek to encourage involvement and create a special sense of belonging for all those who walk through our doors. 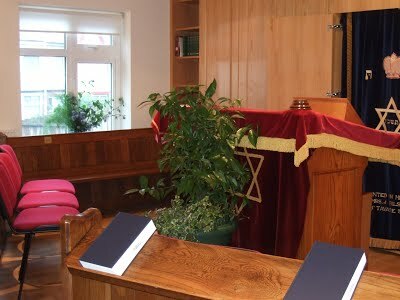 The synagogue is committed to meeting the religious, educational, social and cultural needs ofour members. We invite you to join us. To find out more, please contact us on 01325 624 232 or email us at info@dhcreform.com or simply use the contact form at the top of this page. Centre for Jewish Living in County Durham, Teeside and surrounding areas. Our service at DHC is spirited, intimate, and meaningful. The services use a mixture of Hebrew and English to be both traditional and approachable. At DHC we believe our strength is in our community and their ability to develop and expand programs to serve the Jewish people in our communities. We are a community of learners that has opportunities for all points on the age spectrum and for varied interests and levels of knowledge.